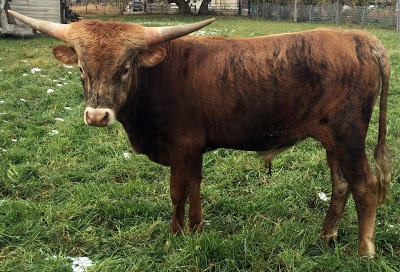 Mr. Chex is just the second Bull to reach 75" T2T and 19" Base, and he did it at just 34 months of age. 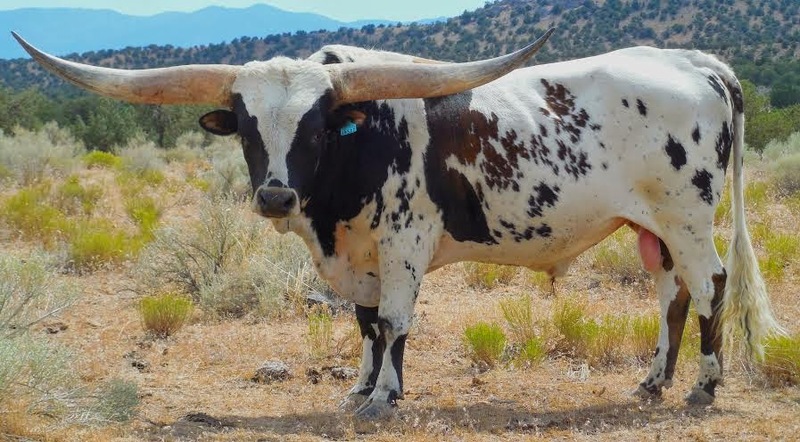 His Pedigree is stacked from top to bottom with BASE (Cowboy Chex, Peacemaker and PPF Gunmaker) and TIP to TIP (BL Poco Bueno, LCR Buena Joya, Horsehead Showtime). His first calves are now arriving and they are awesome! What a beautiful, correct base tool! He rivals anything (confirmation, thickness) in our Angus Herd. Clear Cut has several unique tools. He will go down as the largest Bull we have ever used. He has solid confirmation and thick legs, deep brindle color and, of course, huge horn base. His Pedigree is also very unique for us. This Boy is really putting on the horn. He will have an exceptional 2 year measurement. Front Runner will see use in 2015. 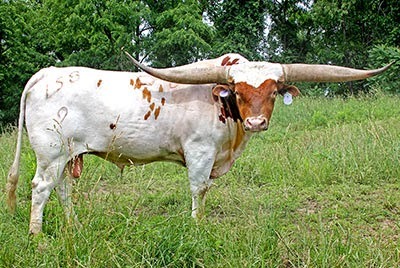 Sire and Dam are stacked with horn. 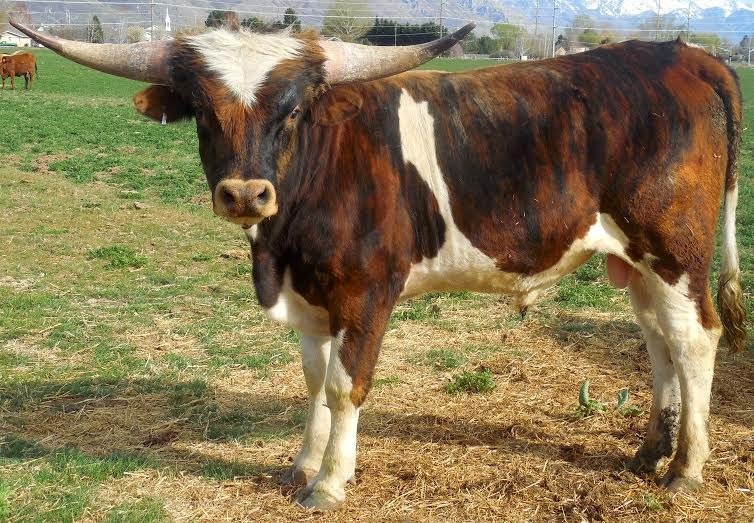 This Bull comes to us from our friend Jimmy Jones. 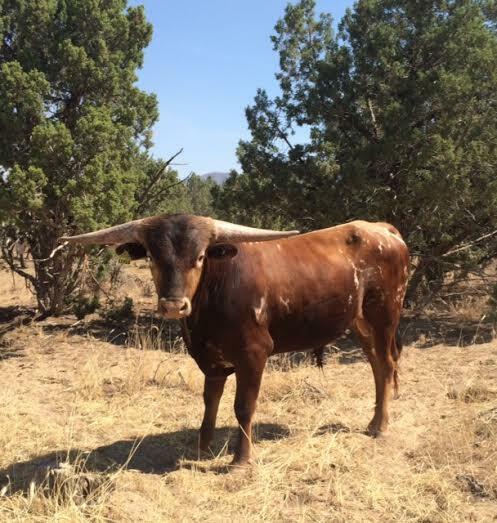 Together with Jimmy, we and Pace Cattle Company will utilize this Bull's unique tools in 2015. Beautiful Brindle Bull by Mr. Chex and out of PCC Sparkles who is the Dam of PCC Frontrunner. 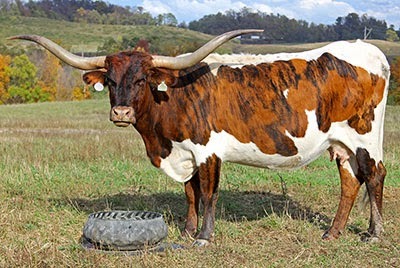 We own him in partnership with Pace Cattle Co.
We used to own this Bull's Dam and Granddam. Both have a ton of horn. Co owned with Beere Cattle Co. and Pace Cattle Co. He's a Prospect. Time will tell. We love his Grulla color. 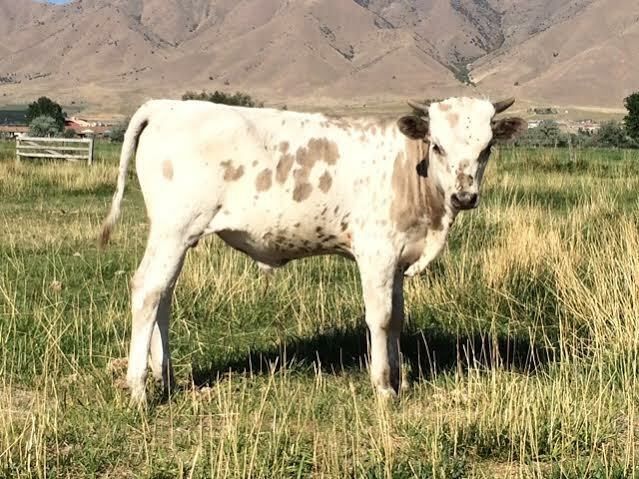 We are planning on sending Roadblock to Western Nebraska where he'll graze our pastures near Chimney Rock. He'll be quite a site.